new shapes to solve dynamic puzzles! 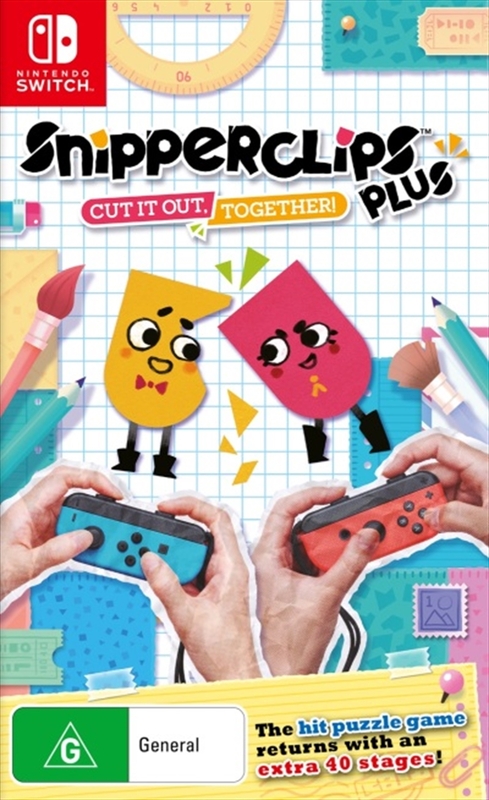 In "Snipperclips Plus: Cut it Out Together!" players can team up with friends to solve more puzzles than ever with 40 brand new stages added to this enhanced version. There are mulitple ways for up to 4 players to participate, making Snipperclips Plus the perfect family game.